This national event is held on the first Friday of the month in February. 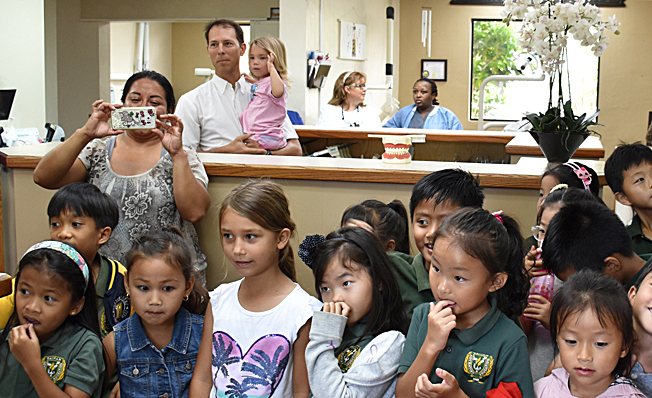 This event is for children who do not have Medicaid or other dental insurance. This last February we improved the smile of over 40 children, at no cost to the patient’s families. One of the leading causes of Oral Cancer in the CNMI is chewing betel nut with additives. Each year in the U.S. alone, approximately 42,000 individuals are newly diagnosed with Oral Cancer. During our annual free clinic day, we provided treatment for 115 patients. Thank you to our team who volunteered to come in on their day off. 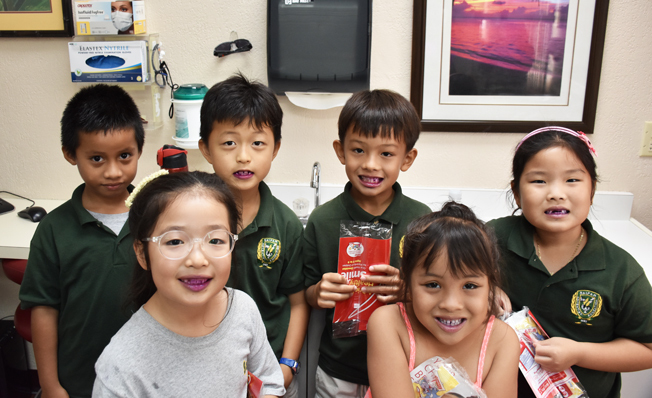 This program, sponsored by Colgate, will provide over 10,000 children in the CNMI with oral health education as well as new toothbrushes and toothpaste kits. Some of our Dental team make trips out to some of the underserved islands to provide treatment. We have been to Palau, Rota, Tinian, Pohnpei and others. The Saipan Seventh-day Adventist clinic was active in the cleanup efforts.